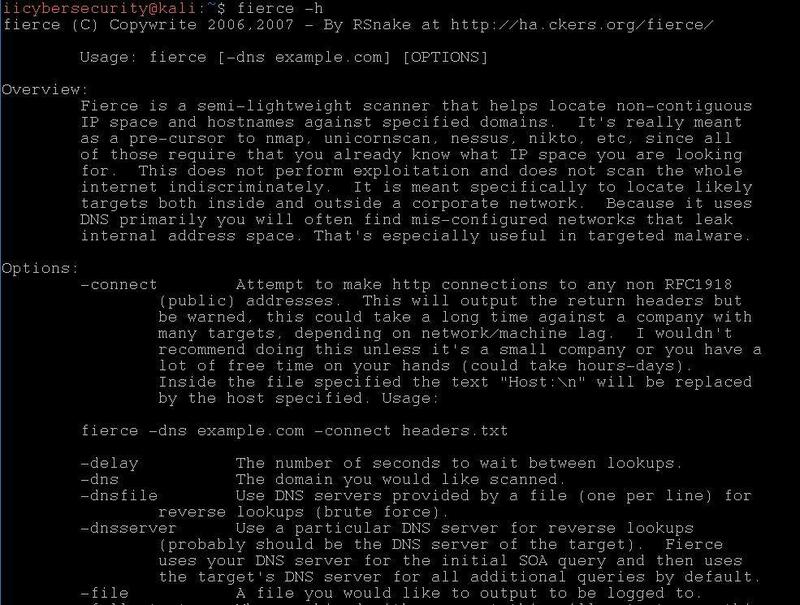 Fierce is a another domain scanner. It is written by Robert Hansen aka RSnake. It helps to locate non-contiguous IP space and hostname against target. This tool helps to uncover additional hosts that brute force may not have found, as stated by ethical hacking researcher in International Institute of Cyber Security. Now start using the queries. -threads, is used to scan faster. By default, fierce runs in single threaded mode. This command with save the results to /home/iicybersecurity/Desktop/knifecenter.txt file.